Do not forget to do good and to share with others, for with such sacrifices God is pleased. Bishop Stringer and his companion were facing starvation that late October morning. They had been returning home from the Mackenzie region of the Yukon when they were overtaken by winter. Even though it was early in the season, the amount of snow that fell during that first storm was enough to make them lose their way in the mountains. They didn't despair, however. Instead, they looked at their sealskin boots and wondered if they could be edible. The notes left in Stringer's diary are quite revealing: "Thursday, October 21: Breakfast of sealskin boot, soles and tops boiled and toasted. Soles better than uppers. Soup of small scraps and bacon…the last we had; hands sore; took a long time to pack up…"
Isaac Stringer, one of the first to arrive in the Yukon, was aghast at the influence the whalers were having on the native population. Whalers supplied the First Nations people with alcohol and then took their women as their "mistresses". The consequences were devastating: alcoholism and disease, both sexually transmitted as well as common ones that the Inuvialuit had no immunity to, abounded. Very early on, Isaac succeeded in securing an agreement with the whalers that closed down the alcohol trade with the Inuit. Eventually he provided church services and literacy classes for both the Inuit and the whalers. His task was not an easy one, however. He often had to travel long distances in harsh conditions, and his eyes eventually contracted snow blindness, a condition that is quite agonizing and incapacitating. And his story isn't unique. Another bishop in the Yukon by the name of Bombas decided to live like the natives. He slept on the floor rather than in a comfortable bed, he dressed poorly and he gave away all of his possessions and money. He was well-liked, and as a result, he was quite successful in his ministry. Were all these sacrifices worthwhile? Ask the Inuit. They will say, "Yes!" We generally prefer to avoid unnecessary sacrifices. However some of our sacrifices are unavoidable and still others are commendable. God's view on these is quite remarkable. This New Year's Eve my question to all of us is this: What attitude are we portraying in front of society? Are we more like the whalers described here, tending to promote our own interests? Or are we more like these missionaries, willing to be selfless while undergoing sacrifices, having taken to heart the eternal destination of those around us? Harpoon or Bible. What is your choice? May we make the right choice as the New Year begins. Dear Lord, we look forward to the New Year You are giving to us. We pray that in all that we do we would do it to bring honor to You. Help our eyes be open so that we don’t miss the opportunities that are brought before us from You. In Jesus’ Name, Amen. As we get ready for a new year many people set it their goal to lose weight and exercise. I came across a list of exercises we would be better off staying away from in 2013. #1 – Read the Red and Pray for the Power. Instead of getting involved in another read the Bible through in a year program how about changing tactics? The reason we read our Bibles is not to gain knowledge. Knowledge alone is not enough and in all honesty, even in Christians, knowledge puffs up. If our intent is to get to know the Savior of our souls better and to grow in a deeper knowledge of the love of Christ towards us, then how about thinking outside the box and this year you make it a goal to read all the words printed in red in a red letter edition Bible? The red letters are the words of Jesus Himself. This can be done easily in 1 month’s time so you can do it 12 times in 1 year. If you read something 12 times do you think you will remember what is said? I do! Along with reading the red, pray that God will enable you by the power of the Holy Spirit to carry out what is written in the red. You can find a Red Letter Bible Here. #2 – Skip a meal a week and give the money you save to the poor. We all hear of people making New year’s resolutions to lose weight or eat healthier. 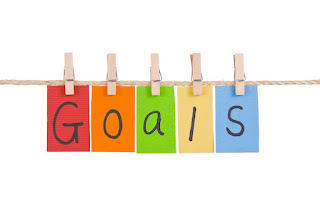 Well how about making that goal something that actually has spiritual significance. In Isaiah, the prophet talks about a fast that God has ordained. He tells us to not only go without eating but to give the food we would have eaten to the poor. How about when you decide to eat less, you take that money that you save and give it to your local food bank or a charitable mission’s organization? #3 – Let God be in control of your appointment book. #4 – Make biblical prosperity your goal. #5 – Random words of kindness and mercy. In the book of James, he writes that good water and bitter water should not come out of the same well. He is talking about the words we speak. This year how about making a goal that you are going to say random words of kindness and mercy to 1 person every day. That you will bless or compliment someone just because you can. Whether it be your spouse, your child, your neighbor, or the stranger standing in front of you in the grocery store, you are going to find one person every day that you can bless with words of kindness and mercy. As the Psalmist said in Psalm 19:14 “May the words of my mouth and the meditations of my heart be pleasing to you, O Lord, My Rock and my Redeemer. 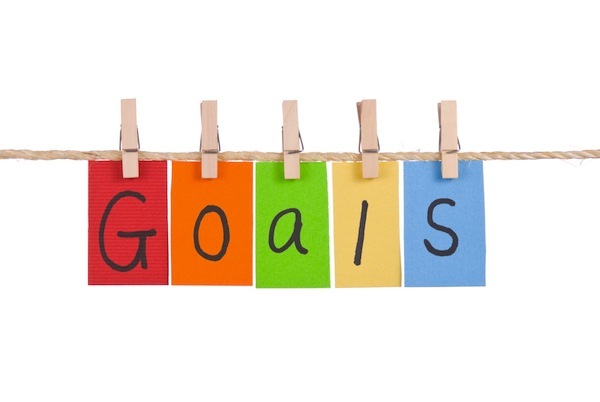 What better New Year’s goals can be made than a goal of doing something that will be pleasing to our God? Dear Lord as we look forward to the New Year we pray that it would be in each of our hearts to do things that are pleasing to You. Help our faith and trust in You grow beyond what we can imagine this new year. In Jesus’ name, Amen. 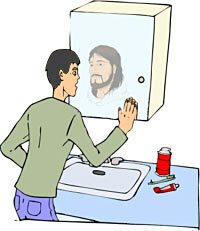 Do Others See Jesus in You? Being aware that we are unable to do anything without God's help, let’s humbly go to Him, and ask through His grace that we will be able to go into the New Year and become more like Him. To help us become more like Him so others will see Jesus in us, let’s look as some goal that will bring us closer to our Lord. 1. That I will do what will bring the most to glory of God. 2. Never to lose one moment of time, but to make the most of it. 3. To live with all my might, doing my very best. 4. Never to do anything, which I should be afraid to do if it were the last hour of my life. 5. Never to do anything out of revenge. 6. Never to speak evil of any one. 7. To study the Scriptures on a daily basis so the Lord can speak to me. 8. Pray all the time and trust that God will answer. 9. Ask myself, at the end of every day, week, month, and year, what could I have done to improve. 10. Never to give up as temptation is always knocking. May we always have it our goal to have God first and foremost in our live. 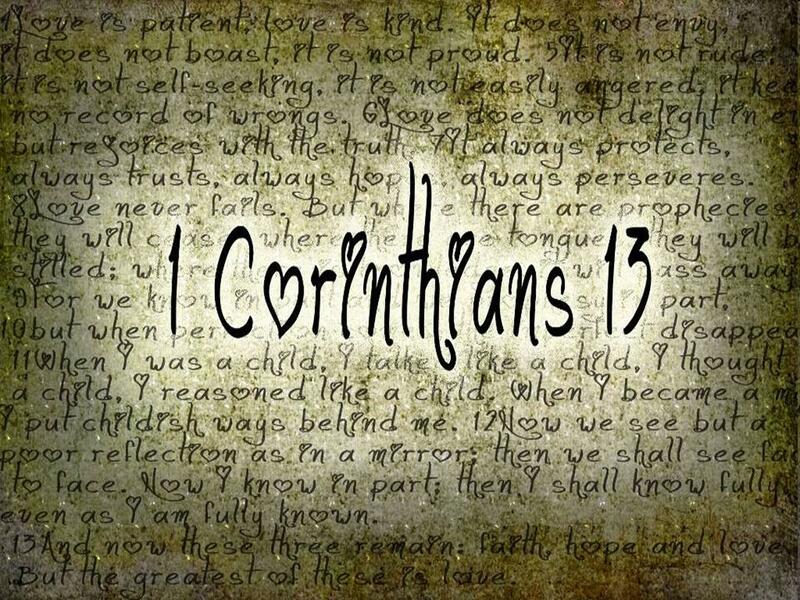 As we go through each day that God gives us may we strive to become more like Him. Dear Lord, we pray today that we would set goals that would bring us closer to You. So that when people around us look at us the will see You through us. In Jesus’ Name, Amen. Your promise preserves my life. Christmas season can be a hard time for people who have lost their loved ones to death, especially if it occurs during the month of December. I can remember when my own dad died in December of 1999 between Christmas and New Year’s. My heart sank because of my loss. I saw all of the decorations and listened to all of the carols, but my heart could not experience most of the joy. It was a sad time of year for me and even though years have passed since his death, I still feel part of my grief at Christmas. However, like the psalmist of old, I also feel the comfort that God offers through His promises. Death does not have the final word and, through the shared hope of faith in Jesus Christ, my losses turn into victories and my grief can be transformed into gladness. I know that the emptiness of grief is still there, but as time goes by, it is gradually being replaced with a fullness of Christ’s love that can overcome any joylessness that I temporarily feel. He is born within me each Christmas, so I renew and rededicate my life, my loved ones, and also my losses to Him. Jesus is my Comforter and Savior, Hope and Healer, my Shepherd and Lord. Dear Lord, some of us are going through sad times and our hearts are heavy because of the losses that we still experience. We know that You weep with us and carry our cares. Help us to put all our pain into Your hands. In Jesus’ Name, Amen. the builders labor in vain. the guards stand watch in vain. for He grants sleep to those He loves. The New Year is just around the corner. Looking into my crystal ball, I would like to tell you what will happen in 2013. Oh, wait! I don't have a crystal ball. Nobody has a crystal ball, which means nobody has the ability to make a definite promise that something will -- or will not – happen . Of course, that doesn't mean people won't try to predict what their tomorrows might hold. Over 200 years ago, off the coast of Plymouth, England, a lighthouse was built to warn oncoming ships of the dangerous reefs. 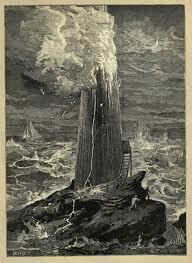 The architect of the lighthouse, a fellow by the name of Winstanley was absolutely convinced this lighthouse could survive any storm or wave that might come its way. Indeed, Mr. Winstanley was so sure his creation could handle the future that he had these words carved on the cornerstone: "BLOW, O YE WINDS! RISE, O OCEAN! BREAK FORTH, YE ELEMENTS, AND TRY MY WORK!" To make a long story short, the winds did blow, the oceans did rise, and the work of the lighthouse was tried. The lighthouse was tried and found wanting. In took less than three years for it to be reduced to a pile of rubble and swept away. Even though Winstanley's lighthouse was gone, the ships still needed a warning. John Smeaton, a Christian engineer, was asked to redesign and rebuild the light of warning. He did. And when he was finished, the cornerstone read, "Except the Lord Build the House, They Labor in Vain that Build It." For many years that lighthouse has stood every test. Now I don't know what wind and wave will come crashing down on you in 2013. But I do know this: if we try to stand on our own, trusting in our own wisdom and ability, we will go down like Winstanley's lighthouse. On the other hand, if every day of this New Year is founded on the Savior who gave His life for our salvation, we will be able to stand as a witness to Jesus; we will be able to withstand the storms and waves. If we do that, my friends, it will make 2013 a very good year! Dear Lord, in 2013 keep us from pride and overconfidence. Let us recognize we can only stand against the storms of life if our life is built upon Jesus. In Jesus’ Name, Amen. My name is.... and I’m a sinner. My name is Ron Yahr Jr and I’m a sinner. I also have a wonderful friend called Jesus who wants to change my life and help me follow a path that will lead me to God’s Eternal Kingdom. I struggle with sin, but Jesus remains my friend. I get lost in life sometimes, but Jesus is still my Guide. I worry about the future, but Jesus knows the way ahead. I regret my past mistakes, but Jesus has forgiven me. I feel helpless at times, but Jesus is my strength. I guess that you’re a sinner too; why else would you need to read a devotional? Guess what? Jesus is also Your Friend, Guide, Comforter, Savior, and Strength. 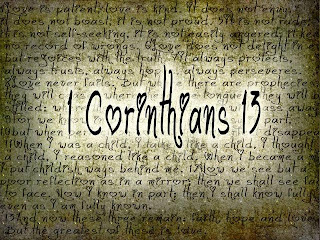 Being a Christian is the best gift in life that God has to offer. Bringing someone else to Christ is the best way that we can thank Him. As we head into the New Year, let’s invite someone to church to meet Jesus. Dear Lord, thank You for being our Friend. 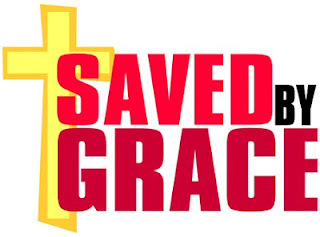 Even though we have many sins and don’t deserve such a blessing You have given us the greatest gift. Thank You for being here in our lives. In Jesus’ Name, Amen. Iraq and Iran were in the news 2010 years ago although under a different name. Nations of the west feared their armies and their ancient weapons of mass destruction. Then called Persia, the great empire of the east competed with the Roman Empire of the west. If the two empires clashed it could mean the loss of tens of thousands of lives, millions sold into slavery and the entire world turned upside down. Well . . . it all depended on the stars, they said. It was a time in history when almost everyone looked to the stars to determine their destiny. So much of life seemed uncertain. Earthquakes. Diseases. Politics. A high percentage of the population was slaves. People tried to figure out what was the cause behind the turmoil of their lives and the course of history. The stars seemed so predictable and so powerful. They concluded that the stars above controlled all of life down below on earth.. If you were born under Libra, Sagittarius or Capricorn your whole life was determined and there was nothing you could do to change it. The events of every day were controlled more by the horoscope than by the gods. Human initiative meant very little because the world was ruled by fate. Astrology was a cruel master. The stars determined if your were born a slave/free or a man/woman - - - and every case your life was indescribably hard. The stars decided who you would marry, if you had children, what your profession was and when you would die. You were powerless and hopeless to escape what was determined in the heavens. Because astrology was so important there were men who specialized in studying the stars. In Persia they were a noble class who had descended from the Medes and were called "Magi" or "Wise Men." They advised emperors and chose their successors. They read the stars to decide economic and political policy. Anyone who could afford their services came to find out if they should launch a business, take a journey, sell a farm or enter a marriage. The Magi kept detailed records of the movement of the stars. They were keen and sophisticated observers. They were professionals. While it is true that their name, Magi, later became associated with "magic" and deception, in the first century they were revered, respected, rich and powerful. We are tempted to think of the Magi as ancient and ignorant. But, when it comes to the stars it is amazing how ignorant we still are today. We really don’t even know how many stars there are in the universe. Estimates start around 3 thousand million billion (3 followed by 16 zeroes) but NASA alleges there are zillions of uncountable stars. The way modern astronomers estimate the number of stars is by counting those they can see and assuming there are the same number in all the space they cannot see. Our own Milky Way galaxy has more stars than McDonalds has sold hamburgers. Actually, a lot more with 200 billion stars and only a few billion hamburgers. The size of the universe is more than breathtaking. It is millions and millions of light years in size. A light year is the distance light travels in 365 days, which is about 6 trillion miles. The universe is huge beyond our comprehension. It goes on forever. Our world is so small that it is statistically insignificant in size. On the eastern edge of the predictable canopy of stars - - the Magi saw a new light. It was unprecedented in their years of combined experience. It was unrecorded in the journals passed down from previous generations. To them every star meant something and this star seemed to mean everything. The new star meant hope. It wasn’t part of the Zodiac. It didn’t fit into the horoscopes. Maybe there was a future beyond fate. Maybe everything was not as determined and dismal as they had always thought. Then the star moved. It seemed to beckon them. Slowly across the sky, rotating from east to west. Calling them. Pulling them. They had to follow it even though they had no idea where it might lead them. Astronomers ever since have been trying to figure out what they saw. Could it have been Haley’s Comet? It was seen in the Middle East in 11 B. C. but that was too long before. Perhaps the brilliant conjunction of Saturn and Jupiter in 7 BC. Or, there were some other unusual stars bright between 5 BC and 2 BC. Or, could it have been something unprecedented and unsucceeded? Something supernatural. Something one of a kind. Whatever it was . . . it not only caught the Magi’s eye but drew their hearts to follow. Like modern times, it was a dangerous journey for powerful leaders from Persia to travel to Israel. The distance was great and travel was slow. In all probability they came by caravan, food; servants; tents; slaves; soldiers. They were prepared for everything from bandits to Roman soldiers. It was a journey that probably took many months not knowing exactly where they were going or what they would find. They were seekers, hoping for hope. When they arrived in Israel they were easy to spot. Immediately they gained an audience with King Herod the Great. He had ruled under Roman authority since 47 BC. He was powerful, political and suspicious. When he found out that these Magi were looking for a newly born king, Herod smelled danger. A new king threatened his authority and a small army from Persia could be scouts for a larger attack. Herod found the Old Testament prophecy about the birth of the Messiah and directed them to Bethlehem but planned to follow-up with an assassination team to kill this royal baby before he grew up to cause a coup. After Jesus was born in Bethlehem in Judea, during the time of King Herod, Magi from the east came to Jerusalem and asked, "Where is the one who has been born king of the Jews? We saw his star in the east and have come to worship him." who will be the shepherd of my people Israel." Then Herod called the Magi secretly and found out from them the exact time the star had appeared. He sent them to Bethlehem and said, "Go and make a careful search for the child. As soon as you find him, report to me, so that I too may go and worship him." The Magi finally came to the place where the star directed them. They had followed it across empires and it led them to Jesus. After they had heard the king, they went on their way, and the star they had seen in the east went ahead of them until it stopped over the place where the child was. When they saw the star, they were overjoyed. On coming to the house, they saw the child with his mother Mary, and they bowed down and worshiped him. Then they opened their treasures and presented him with gifts of gold and of incense and of myrrh. Following the star sent by God can mean leaving home, going far, and changing everything. For some it is too risky. We would rather stay where we are and stuck with what we do. For some, it is the adventure and best hope of a lifetime. 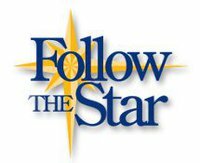 Following God’s star doesn’t always lead to Bethlehem but it always leads to Jesus. And, the star isn’t always a bright light in the sky. God sends different stars into different lives. Your star may be a friend or a book or a dream or vision or sometimes even a tragedy in life. God uses whatever it takes to point the way to hope, to show the way to Jesus. When the Magi came to Bethlehem and found Jesus they must have been dazzled. Not because he was in a palace or surrounded by an army. To the contrary, Jesus was born to humble poverty. He was just a baby. But those Magi were wise enough to recognize God when they found him. Their first impulse was to worship him. Worship is far more than bending a knee or bowing a head. It is surrendering the heart. True worship is total submission. These smart, powerful, rich Magi worshiped Jesus because they saw in Him the presence of God. Jesus was no ordinary baby. He was God in human form, the Messiah, and the Savior of humankind. Like the Magi, you come to the Christmas Story with a seeking heart. You are ready for a change. You’re looking for hope. In your journey you have now come to see Jesus. You may be surprised by what you see. He doesn’t look rich or strong or great. But you see him as the Savior he came to be. He was born to die on the cross for each of our sins and to offer each of us forgiveness, a fresh start and eternal life. Imagine yourself coming now to Jesus this Christmas. You’ve found him and now you must decide what to say and do. Worship him---surrender your heart. Make Jesus the king of your life. Give him whatever you count valuable and important. Let’s follow the star of Christmas the rest of your life. Dear Lord we thank You this Christmas day for all that You have done for us. We pray that from this day forward we would follow the star and give You our all. In Jesus’ name, Amen. And do not forget to do good and to share with others, for with such sacrifices God is pleased. "Mommy, mommy look at the beautiful glitter card", the little girl said. "Yes Amanda, it is a beautiful card. Would you like me to buy it for you?” asked her mother. Amanda nodded her head yes. Amanda didn't know who to send the glitter card to. The stars were shining so bright on the card; it was as if the card was trying to tell her something. Amanda wondered what this special card was trying to say. It was two days before Christmas when her Uncle Gerard came and visited her. Amanda showed him her special glitter card and asked him if he knew what the card was trying to tell her. "Well Amanda, I think this card is very very special and you must decide what to do with it. You can send it to your parents, friends, aunts, uncles or you can give it away to someone special." said Uncle Gerard. Amanda didn't want to mail it to anyone, or give it away. She wanted to keep it forever. Amanda told her Uncle that she would keep the card until it told her what to do. Her Uncle laughed, patted her head and gave her $5.00. On Christmas Eve, Amanda went downtown to the toy store. She loved looking in the windows and she knew that Jesus would be giving her everything she had on her Christmas list. Standing next to Amanda was a mother and child. They were dressed in torn clothes that didn't look very warm. The little girl asked her mommy if Jesus would know they were living in their car and would he bring her a gift this year? The little girl's mommy had the saddest eyes Amanda ever saw. With a small tear falling down her face the mother told her little girl, she hoped Jesus wouldn't forget them. Amanda pulled glitter card out of her pocket, looked at it and then realized what the special glitter card was telling her. Amanda reached into her other pocket, took out the $5.00 Uncle Gerard had given her and handed the card and the money to the mother. Amanda ran all the way home. She was happy she was able to help someone, but she missed her special glitter card. Throughout Amanda's life, at Christmas time she always remembered the "special glitter card" she once had. She had told her children and grandchildren the story of her special card and how one card and $5.00 helped make a Merry Christmas for one family. One cold Christmas Eve, Amanda was sitting alone on a park bench. A girl came over to Amanda and asked her why she was crying. Amanda told the little girl, that her husband died two years ago and her children have all moved away and she was all alone. The girl reached into her pocket and pulled out an old tattered card and handed it to Amanda saying: "Please take this card. Many many years ago someone gave this card and $5.00 to my great-grandmother on Christmas Eve. 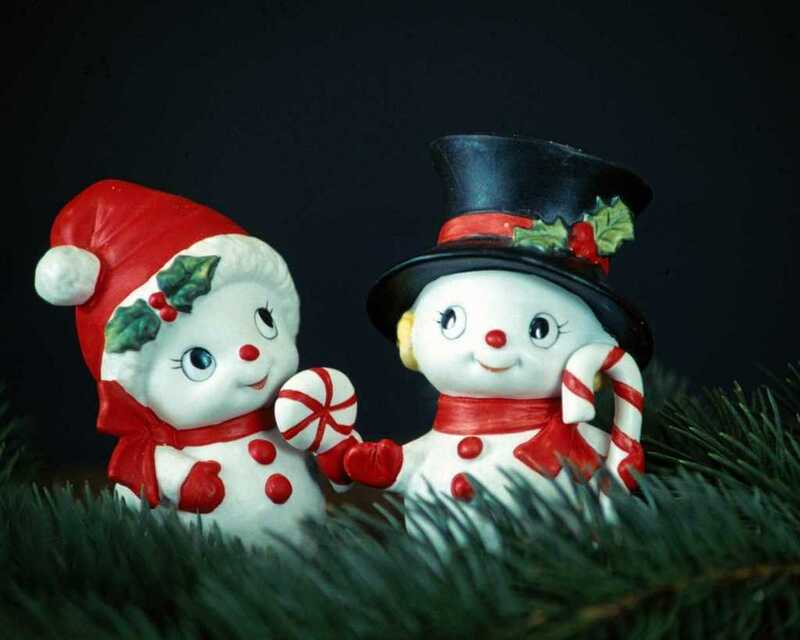 Great Granny told me it was the best Christmas they ever had." Amanda was shocked to see it was the card she given away so many years ago. She was just about to tell the girl, that she was the one who gave the card to her great-grandmother, when the girl reached into her other pocket and pulled out $5.00. She handed Amanda the money and said: "Please hold onto this card until you find someone "special" to pass it onto" With that the girl ran away. As Amanda was looking at the glittered card, she was shocked to see all the stars started to move. Instead of a group of shining stars they now grouped together to form one bright shining star. Amanda now realize what this card was telling her so many years ago. Christmas isn't about gifts, toys, parties or pretty clothes. Christmas is about love and sharing! Dear Lord, help us show love this year. We pray that You would show us the ones that You would have us show Your love to this Christmas. In Jesus name, Amen. If I decorate my house perfectly with plaid bows, strands of twinkling lights and shiny balls, but do not show love to my family, I'm just another decorator. mealtime, but do not show love to my family, I'm just another cook. If I work at the soup kitchen, carol in the nursing home and give all that I have to charity, but do not show love to my family, it profits me nothing. If I trim the spruce with shimmering angels and crocheted snowflakes, attend a myriad of holiday parties and sing in the choir's cantata but do not focus on Christ, I have missed the point. Love stops the cooking to hug the child. Love sets aside the decorating to kiss the spouse. Love is kind, though harried and tired. Love doesn't envy another's home that has coordinated Christmas china and table linens. Love doesn't yell at the kids to get out of the way. Love doesn't give only to those who are able to give in return but rejoices in giving to those who can't. Love never fails. Video games will break, pearl necklaces will be lost, golf clubs will rust, but giving the gift of LOVE will endure. Dear Lord we thank You for the gift of love that You brought to Earth so that we may have eternal life. In Jesus' name, Amen. But Mary treasured up all these things and pondered them in her heart. It's that time of year when children will be crawling up on Santa's lap, asking for their dreams of toys, dolls, games, computers, etc. Santa's all over the country will be listening. But there is one Santa who is not like most. There was a candlelight walk with Log cabins from the 1800's. A Civil War Soldier, would take groups of people back to the 1800's era and show them how Christmas was celebrated then. Santa is always there, and many listen as children tell Santa what they want him to bring on Christmas Eve. This is a story of how a little boy touched the heart of Santa in a way no other child had. And Santa touched the heart of the listening public in a way no other Santa has. The little boy was about seven-years-old. He climbed on Santa's lap, looked at him, then said, "I know you can't bring me what I really, really want Santa." Santa told him to go on and tell him what he wanted. "I want my paw paw to come back, he died and lives in heaven." With tears in his eyes, the little broken hearted boy hung his head down. Santa's heart begun to hurt for the child. Santa then said, "When your paw paw was here, did he take you fishing?" The little boy nodded yes. Santa asked, "When your paw paw was here, did he fix toys and things that were broken?" Another nod of the head. Santa said, "When your paw paw was here with you, did you and he do a lot of things together?" The little boy nodded yes. Santa asked, "Did your paw paw tell you he loved you many times?" The little boy's tears slid down his cheeks as he whispered yes. Santa's white gloved finger softly touched the little boy's heart and then he begun... ...... "Your paw paw didn't die, he lives RIGHT HERE. You will always have your paw paw with you." The little boy lifted his head up and a smile was seen through those little tears. They say there wasn't a dry eye in the crowd that night. Sniffles were heard all over the room, as Kleenex and handkerchiefs were brought out. Santa said he will never forget that child. He said he felt so badly for that little boy whose paw paw was his world. And yet, with the touch of a magical glove......Dear Santa brought a smile to a little one's face just days before Christmas. Like Mary, let’s treasure all the memories God has given us. Dear Lord, we thank You for our loved ones and the memories that we have. We pray that we would take the time to make memories with those You put in our life. In Jesus’ name, Amen. Here we are with the Christmas season upon us once again. And that means it's time for the local "Holiday Display" contest all over the place. All around towns people are putting up their Christmas decorations and putting up their Christmas lighting displays. . . Which reminds me of a story I read about old Crazy Charlie, who always went all out to win the towns decorating contest. So, there was Crazy Charlie out in his front yard on Saturday, with all the decorations and Christmas lights strewn all over the place. He had his Christmas music blaring away for the whole neighborhood to hear, as he busily worked at putting up the decorations. And of course once again, just like every other year, you could hear him fussin' and a cussin' above the music as he desperately tried to untangle all of those Christmas lights. Finally, after several hours of his fussin' and a cussin', good old Charlie had all the lights and decorations in place. By that time it was already dark outside and it was time to light up the display (or to be honest, the whole neighborhood ). With the "Little Drummer Boy" blaring away, Charlie plugged in the lights and WHAMMO . . . in the blink of an eye, the whole neighborhood was lit up bright as day! I think about all the people in towns all over the country putting up their Christmas lights and Holiday displays in hopes of winning the coveted award of having it proclaimed as the best display in town. I thought of good, old Crazy Charlie and how hard he had worked at that display of his . 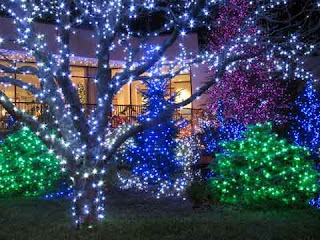 . . And how he lit up the entire neighborhood with all those Christmas lights of his. Then I thought of how much better, how much brighter, the whole world would be if all the people putting up Christmas lights were to know the True Light of the World. Let’s take this Christmas to spread the true light of the world. As we enjoy the beautiful decorations and lights all over town tae a minute to see how you can spread His Light. Dear Lord, we pray that we will show Your light this Christmas season. Help all those around us see Your light when they see us. In Jesus’ name, Amen. 7 If anyone is poor among your fellow Israelites in any of the towns of the land the Lord your God is giving you, do not be hardhearted or tightfisted toward them. 8 Rather, be openhanded and freely lend them whatever they need. In spite of the fun and laughter, 13 yr. old Frank Wilson was not happy. It was true, he had rec'd all the presents he wanted, and he enjoyed the traditional Christmas Eve reunions with relatives for the purpose of exchanging gifts and good wishes..........but Frank was not happy because this was his first Christmas without his brother, Steve, who during the year, had been killed by a reckless driver. Frank missed his brother and the close companion- ship they had together. He said good-bye to his relatives, and explained to his parents that he was leaving a little early to see a friend, and from there he could walk home. Since it was cold outside, Frank put on his new plaid jacket. It was his FAVOURITE gift. He placed the other presents on his new sled, and then headed out, hoping to find the patrol leader of his Boy Scout troop. Frank always felt understood by him. Though rich in wisdom, his leader lived in the Flats, the section of town where most of the poor lived. His patrol leader did odd jobs to help support his family. To Frank's disappointment, his friend was not home. As Frank hiked down the street toward home, he caught glimpses of trees and decorations in many of the small houses. Then, thru one front window, he glimpsed a shabby room with limp stockings hanging over an empty fireplace. A woman was seated nearby....weeping. The stockings reminded him of the way he and his brother had always hung theirs side by side. The next morning, they would be bursting with presents. A sudden thought struck Frank--he had not done his "good deed" for the day. Before the impulse passed, he knocked on the door. "Yes?" the sad voice of a woman asked. Seeing his sled full of gifts, and assuming he was making a collection, she said, "I have no food or gifts for you. I have nothing for my own children." "That's not why I am here,” Frank replied. 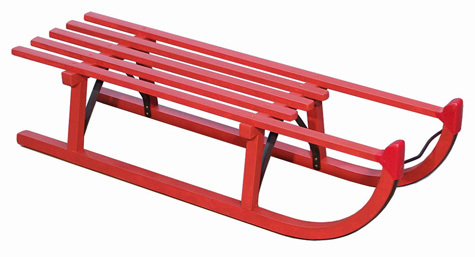 “choose whatever presents you would like for your children from the sled." "Why, God bless you!" the amazed woman answered gratefully. She selected some candies, a game, a toy airplane and a puzzle. When she took the Scout flashlight, Frank almost protested. Finally, the stockings were full. "Won't you tell me your name?" she asked, as Frank was leaving. "Just call me the Christmas Scout," he replied. The visit left Frank touched, and with an unexpected flicker of joy in his heart. He understood that his sorrow wasn't the only sorrow in the world. Before he left the Flats, he had given away the rest of his gifts. His plaid jacket had gone to a shivering boy. Now, Frank trudged toward home, cold and uneasy. How could he explain to his parents that he had given his presents away? "Where are your presents, son? asked his father as Frank entered the house. "I gave them away," he answered in a small voice. "The airplane from Aunt Susan? Your new coat from Grandma? Your flashlight?? We thought you were happy with your gifts." "I was......very happy," Frank said quietly. "But, Frank, how could you be so impulsive?" his mother asked. "How will we explain to the relatives who spent so much time and gave so much love shopping for you?" His father was firm. "You made your choice, Frank. We cannot afford any more presents." With his brother gone, and his family disappointed in him, Frank suddenly felt dreadfully alone. He had not expected a reward for his generosity; for he knew that a good deed always should be its own reward. It would be tarnished otherwise. So he did not want his gifts back. However, he wondered if he would ever again recapture joy in his life. He thought he had this evening....but it had been fleeting. He thought of his brother.....and sobbed himself to sleep. "Merry Christmas, everyone! The nicest Christmas story we have this morning comes from the Flats. A crippled boy down there has a new sled this morning left at his house by an anonymous teenage boy. Another youngster has a fine plaid jacket, and several families report that their children were made happy last night by gifts from a teenage lad who simply called himself the 'Christmas Scout'. 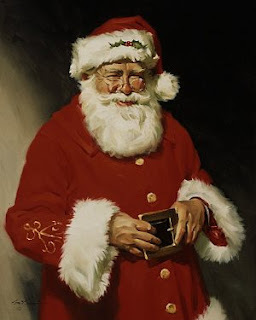 No one could identify him, but the children of the Flats claim that the Christmas Scout was a personal representative of old Santa Claus himself. Frank felt his father's arms go around his shoulders, and he saw his mother smiling thru her tears. "Why didn't you tell us, son? We didn't understand. We are so proud of you." The carols came over the air again, filling the room with music--"Praises sing to God the King, and peace on Earth goodwill to men." Dear Lord, as we celebrate Christmas this year help our eyes be open to those in need around us. Help us be like the “Christmas Scout” And be a blessing to those around us. In Jesus’ name, amen. Give generously to them and do so without a grudging heart; then because of this the Lord your God will bless you in all your work and in everything you put your hand to. On a cold winter morning in the late 1930s Bobby awoke early. It wasn't a day that would be remembered by many, nor would it go down in history as especially important. But it was a day that Bobby would never forget. Bobby, his mother, and his three younger brothers were once again abandoned by Bobby's father. When times got hard, the man who was supposed to be the head of the house left home. He couldn't handle the responsibility of a hungry family. It wasn't the first time he left, so Bobby wasn't surprised. Bobby searched the bare cupboards and realized there was no food in the kitchen. His tummy was growling. So he put on the warmest clothes he had. He pulled on an old pair of socks and placed cardboard in his worn-out shoes. With holes in the soles, he hoped the cardboard would help keep his feet dry, at least for a little while. Bobby hit the roads looking for work. He was a strong child and had worked many times before. His goal was to earn enough money to purchase food for the day along with a few cans of vegetables for Christmas dinner. A few blocks from home, Bobby came across some men working on the side of the road. "Can I help?" Bobby inquired. "Sure," one of the men answered and tossed him a shovel. Bobby worked hard for hours. Suddenly, the rain and sleet pounded down. "Here's your money," one of the men shouted, as he tossed him a few coins. "Go home and get out of this weather." Bobby clutched the change in the palm of his hand. He then ran to the nearest grocery store. He used the money to buy as much food as he could afford. His socks were soaking wet. His feet were numb. While holding a small bag of groceries, Bobby stopped to adjust the cardboard in his shoes. A man in uniform, a representative from The Salvation Army, witnessed Bobby's distress. "Hey son," the kind gentleman said. "Are those the only shoes you have?" The uniformed man took Bobby and bought him a brand new pair of shoes. Bobby danced and skipped all the way home. I wasn't there on that cold December day to witness the act of kindness. I have read the story many times though. I can just imagine the child, dancing and skipping, wearing a shiny pair of dress shoes home. Several years later, Bobby joined the Navy. He continued to send money home to support his family. But Bobby always saved enough money for the Salvation Army, hoping that another little boy somewhere may receive a new pair of shoes for Christmas. It is my hope that you remember this story when you hear the Salvation Army bells ring at store fronts and malls this Christmas season, and make an effort to show love by giving this Christmas season. 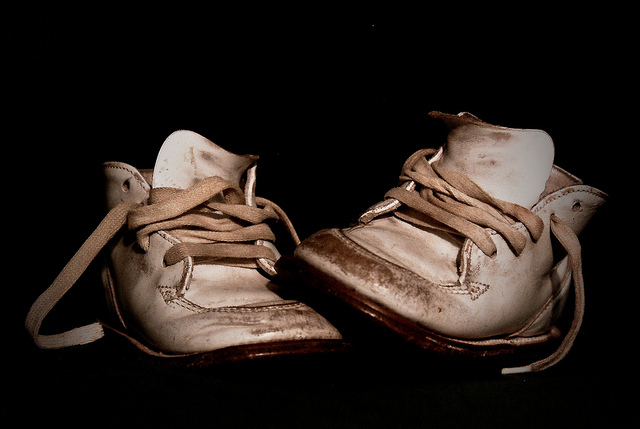 Just as the new shoes kept Bobby's feet warm in the 1930s, we can make a difference here in 2012. Dear Lord, we pray that our hearts will be open to helping those around us that are in need. Thank You for giving to us Your love. In Jesus’ name, amen. A Christmas Lesson From a Child. Are You Making Ripples For God? Is Jesus Your Best Friend? Christmas Time is to Share With Strangers. Does Your Giving Copy Jesus? Let's Keep Christ in Christmas. What is the Balance on God's Credit Card? Are You Relying on Your Works?